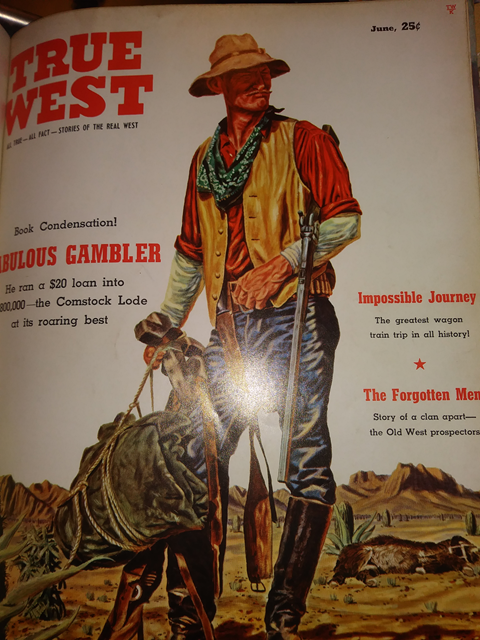 Something that might be confusing to someone just beginning to get acquainted with shotgunning for sports or home defense is... why are most shotgun shells measured in 'gauge' rather than in caliber like most American pistol and rifle cartridges? 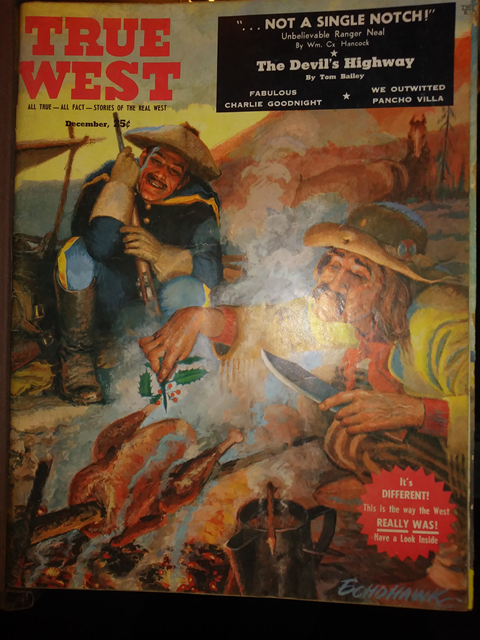 Well... it all goes back to the way they measured lead balls in England a long time ago, and then continued with the settlers and colonists in the early days of America. 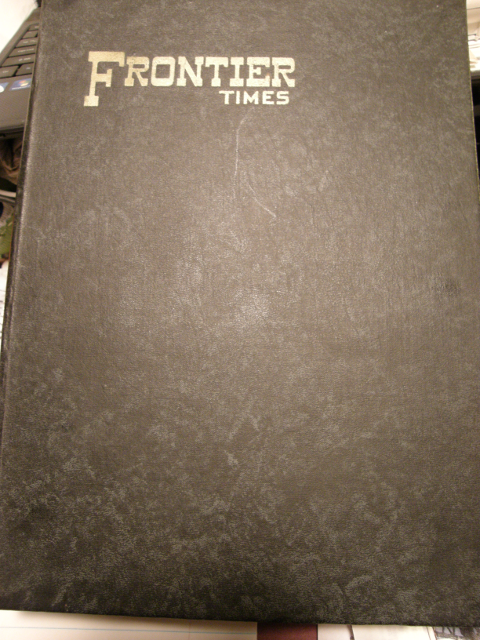 And it just never changed. 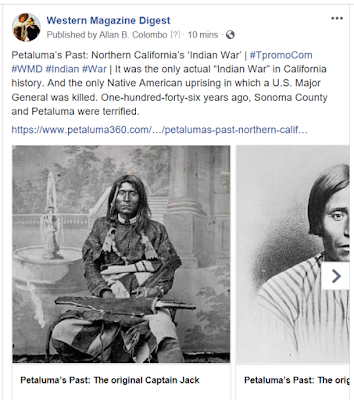 The concept was, that with the English system for measurement of the bore diameter of their guns, they decided that they would count how many lead balls of a specific bore diameter could be drawn from one pound of lead. Or as some folks describe it, how many lead balls from a specific bore size would it take to equal one pound of lead. 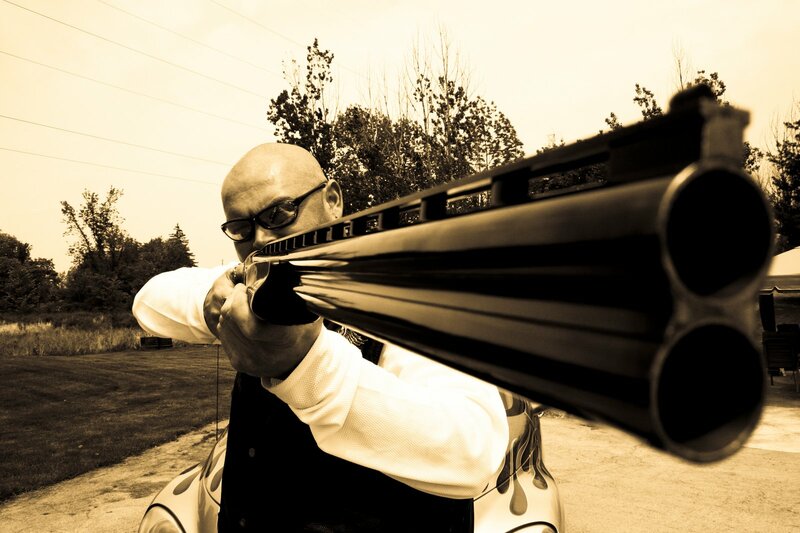 So lets take what is likely our most popular shotgun gauge today as a generalization (and pending the exact grade of lead), the good old 12 gauge. It would take roughly 12 lead balls from that specific bore diameter to equal one pound of lead. And so on for the 10 gauge, 16 gauge, 20 gauge, and 28 gauge guns, respectively. 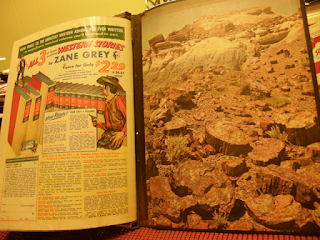 But then, you may ask... what about the .410 shotgun shell? 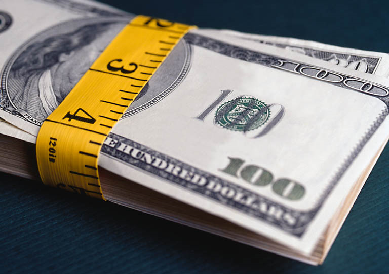 The .410 is actually a 'caliber' based on inches (.410” diameter) from our English-based system of measurement, rather than a gauge. The exact origin of the .410 is still disputed. 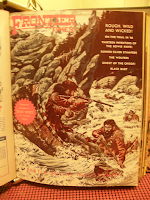 While the Harrington & Richards company claimed to have manufactured the first .410 shotgun in 1915, another company that went by the name of Cave, laid claim as the maker of the first .410 gun in 1907. The little .410 is great for getting youth acquainted with the use of shotguns because of its mild recoil. The .410 is also popular in rural areas for pest control. 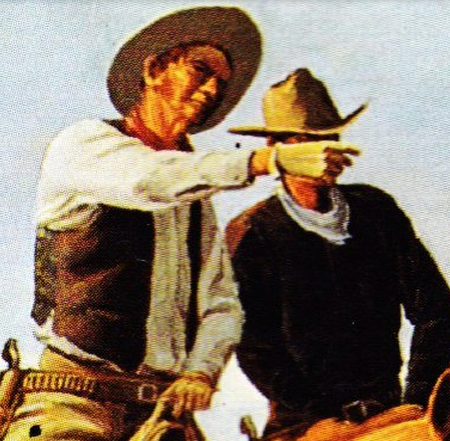 And since the .410 shell has the same base diameter of a .45 Long Colt pistol cartridge, there are 'some' handguns being produced now that can fire both the .410 and the .45. On the other end of the scale, the largest bore shotgun I have ever fired was a 10 gauge that an old timer used to bring out to the small grass-strip airport where I rented a hanger for my old Piper PA-12. 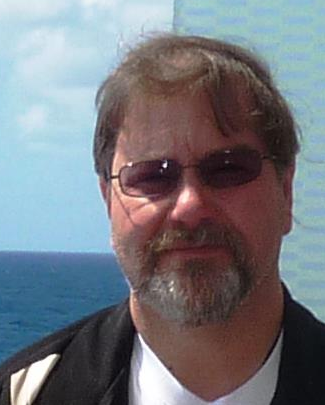 Needless to say, it was a BLAST to shoot as we picked off empty oil cans across the runway. 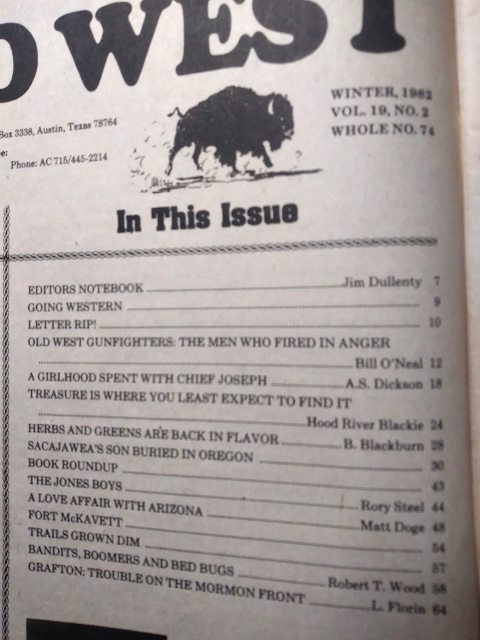 The largest bore shotgun I remember seeing up close was a 4 gauge that someone brought to a gun show one time. 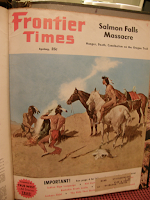 While the Punt Guns had a shoulder stock, I would guess that these canons were mostly fired from some form of solid mount, such as from a boat, as shown in the video. 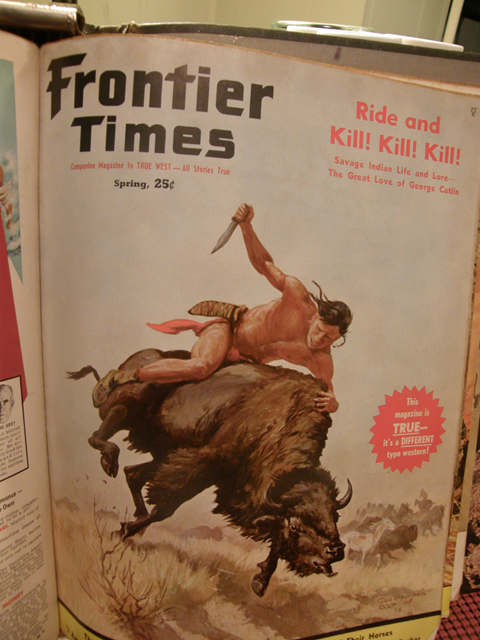 I'd hate to go one-on-one with the Goliath who could fire that weapon from his shoulder! 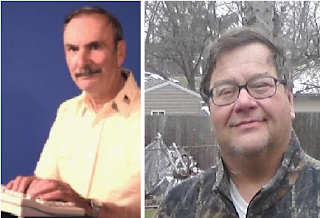 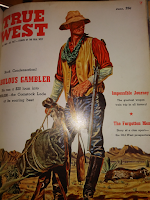 And before you exit Western Digest Magazine, I heartily recommend that you check out the following how-to article that provides some very good tips on shotgun safety and the application of specific gauges: click here. 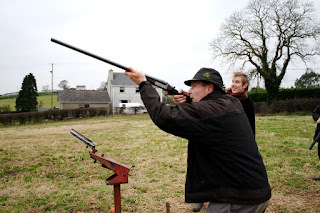 Shoot Safe and Shoot Straight! 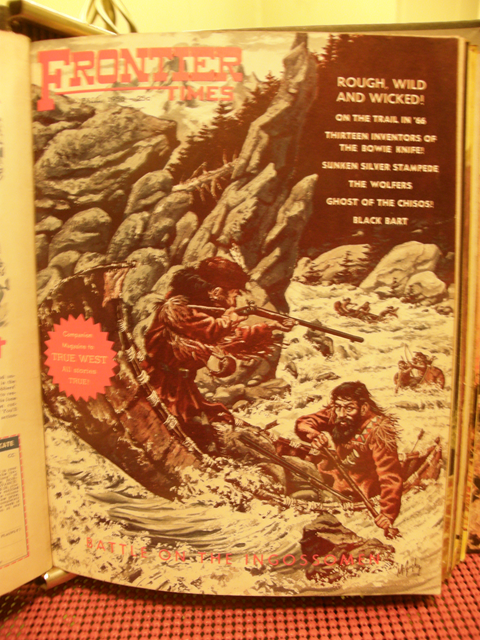 Buy this Collection & Save $44.25 (25%)! 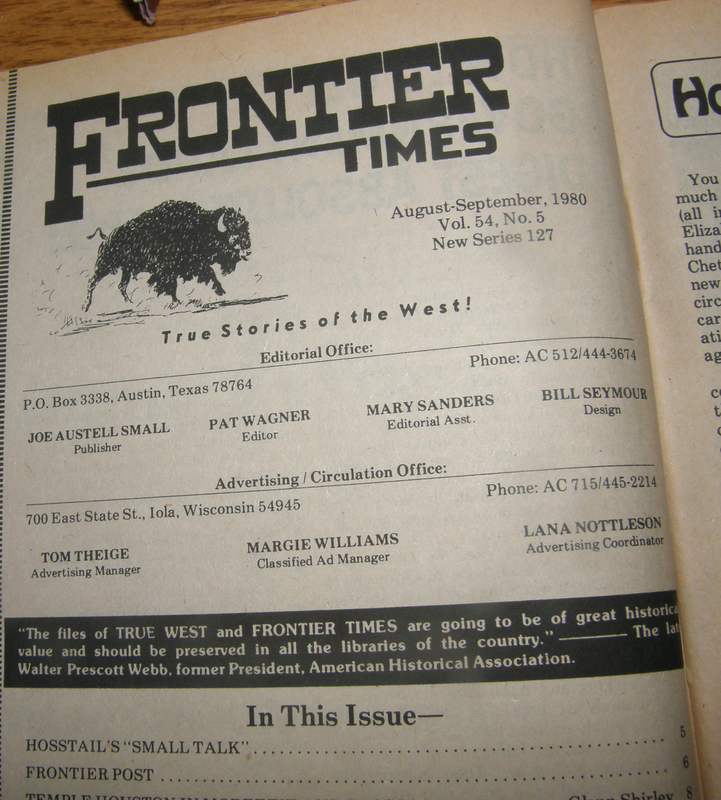 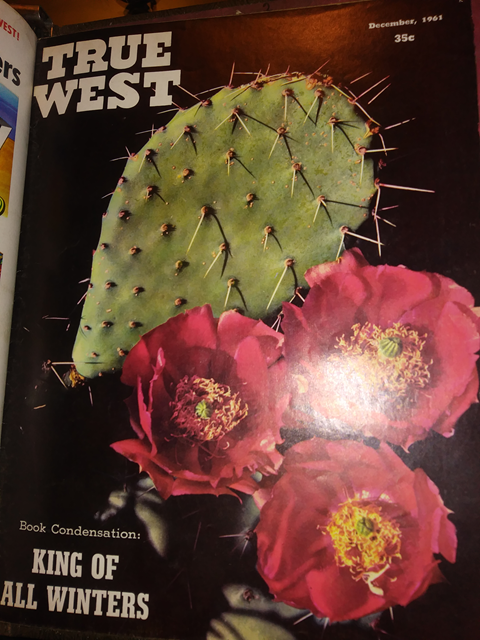 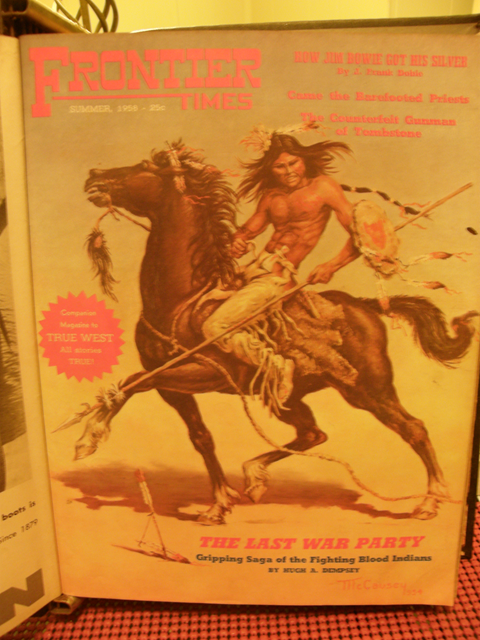 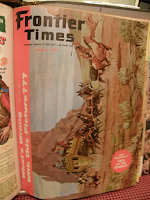 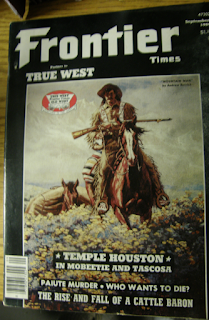 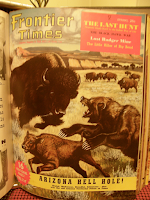 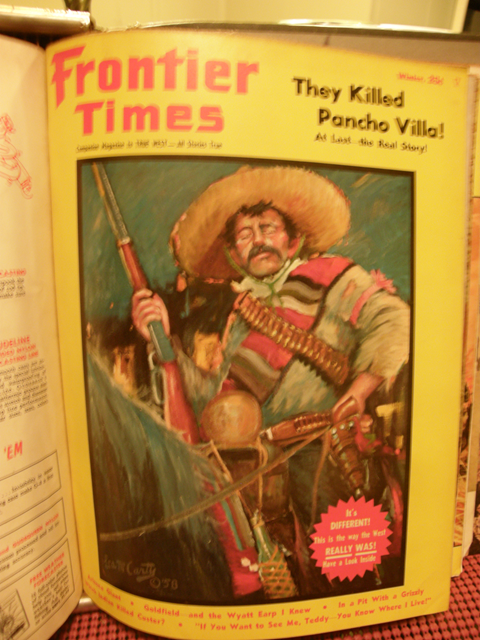 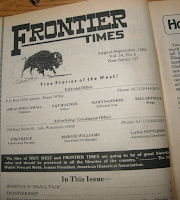 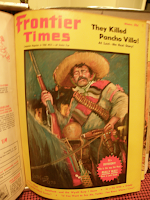 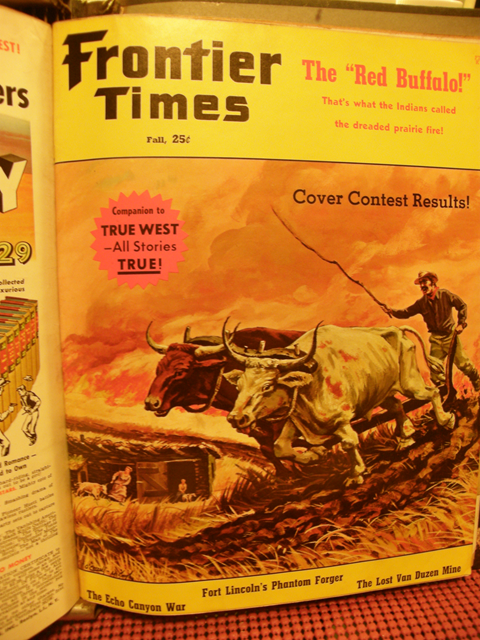 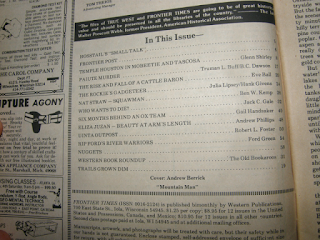 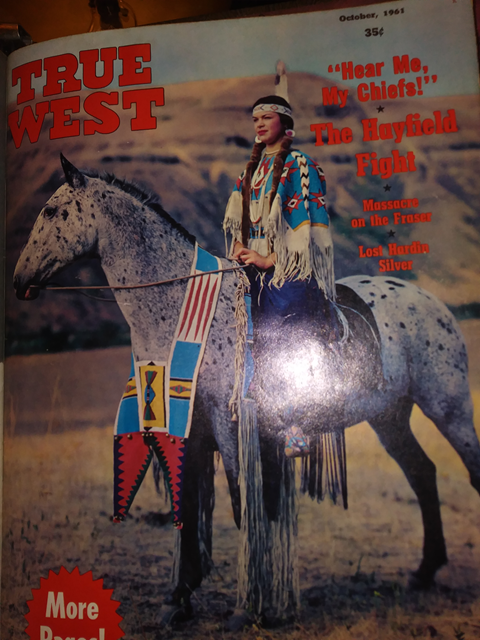 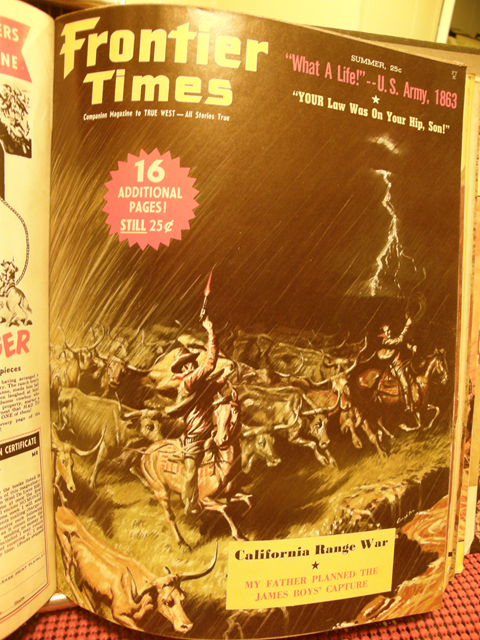 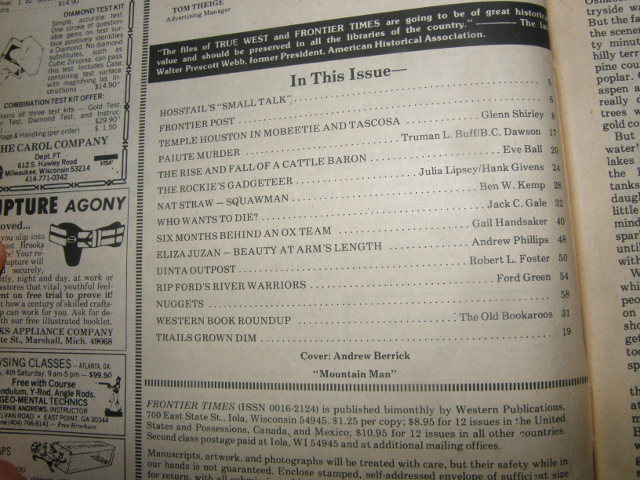 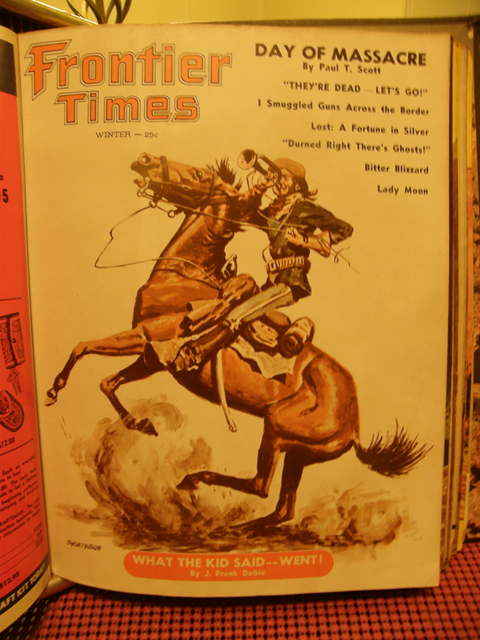 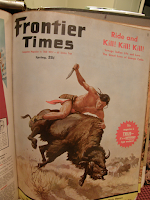 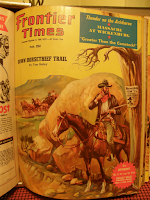 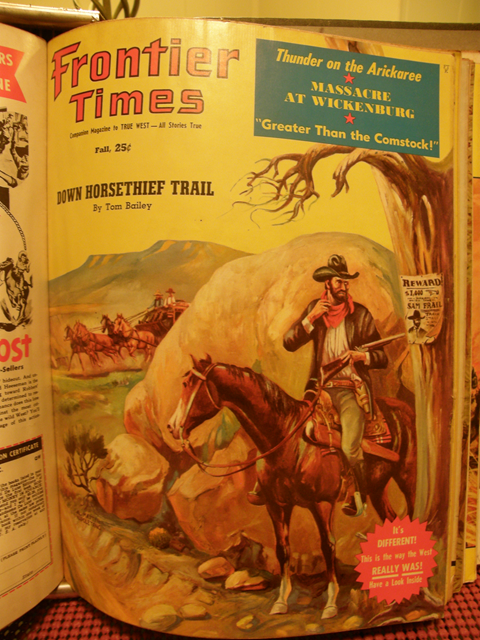 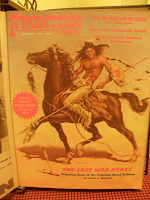 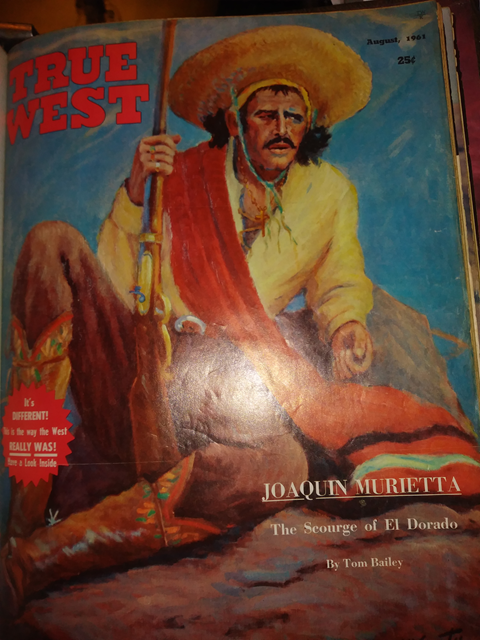 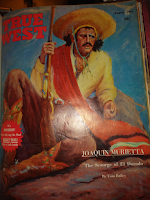 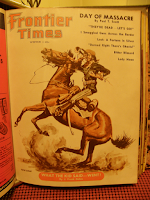 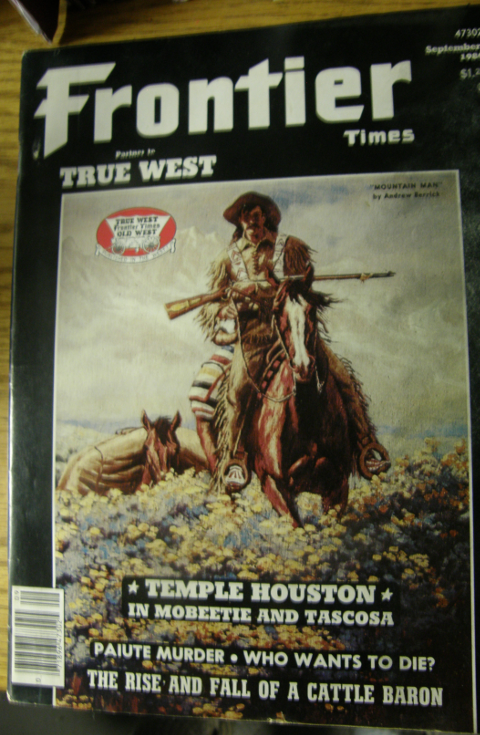 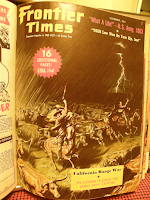 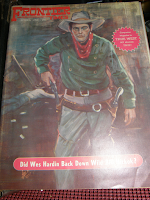 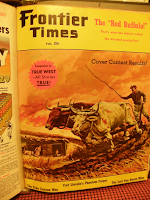 The Frontier Times magazine is one of the most profoundly interesting document of a historical nature for those who are genuinely interested in the old west. 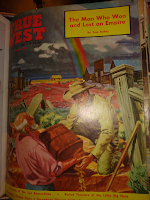 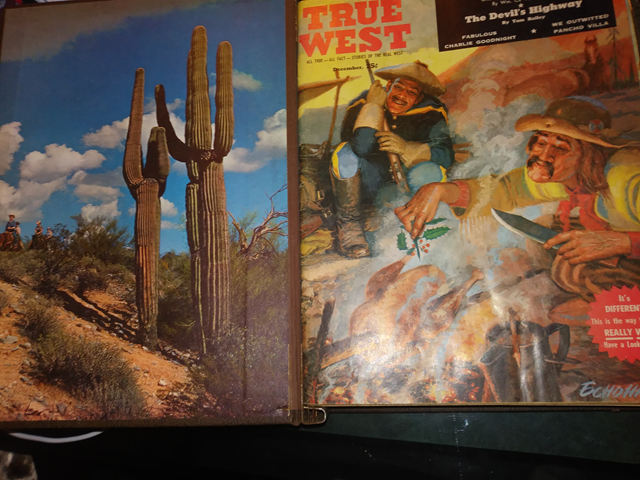 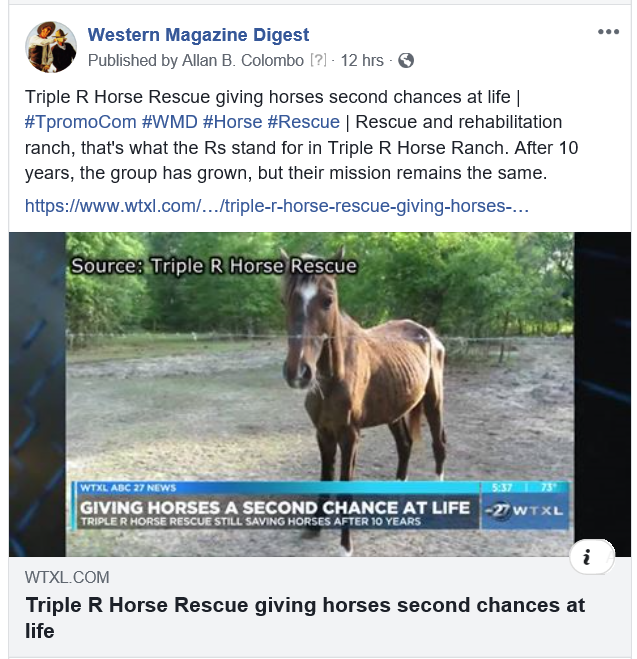 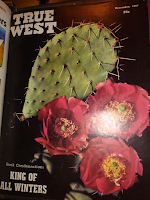 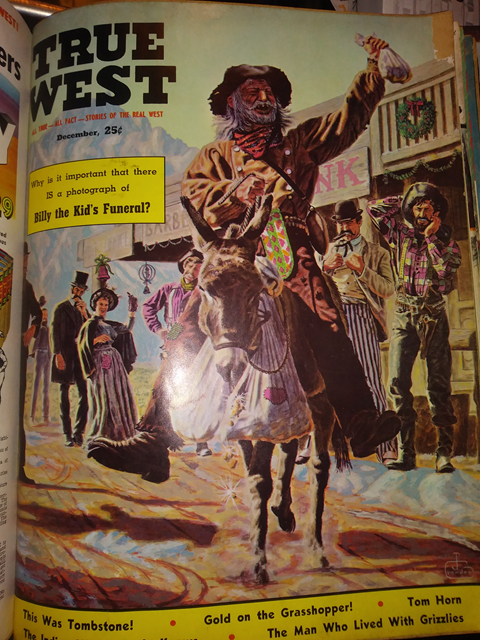 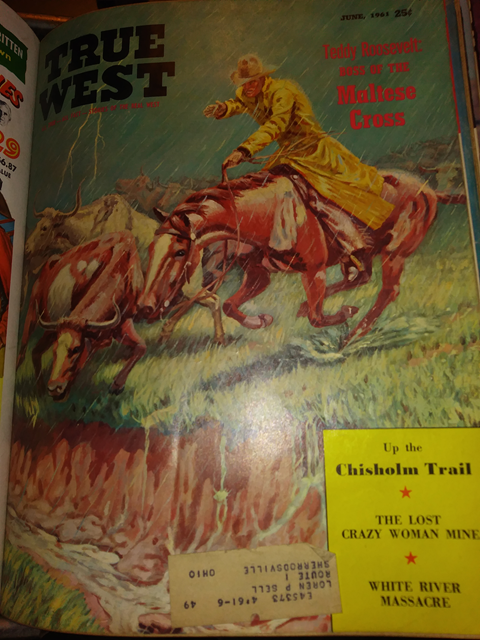 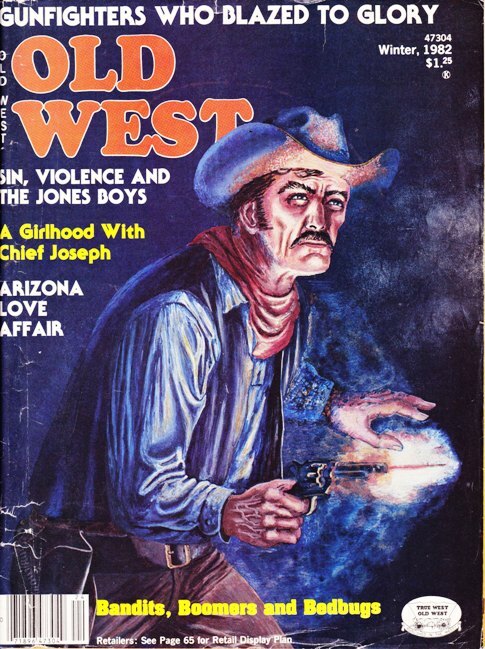 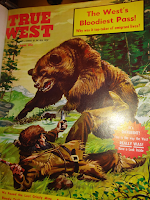 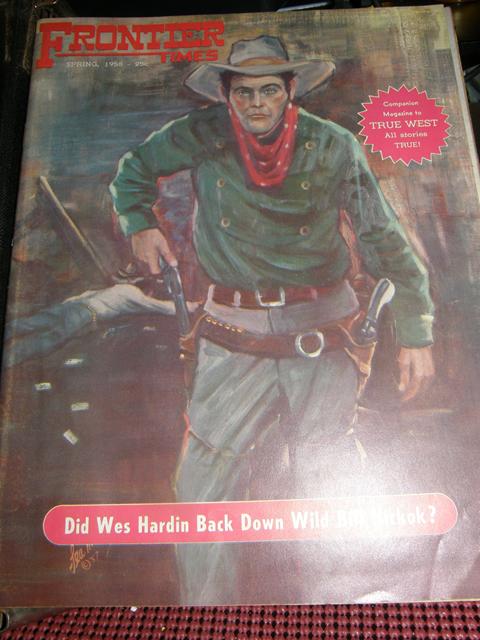 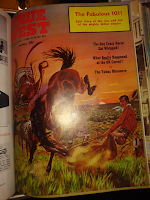 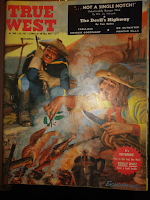 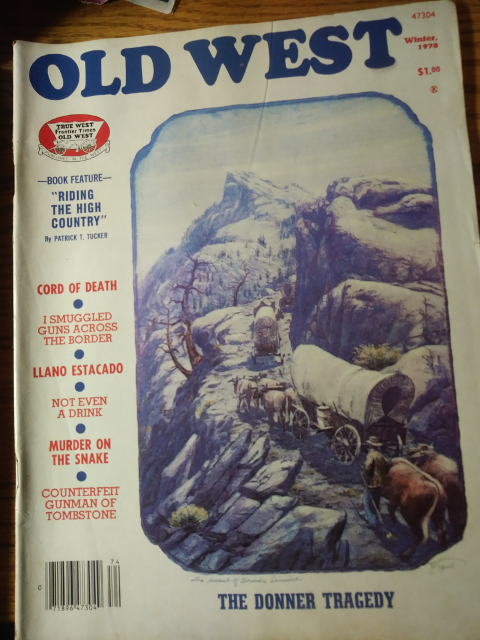 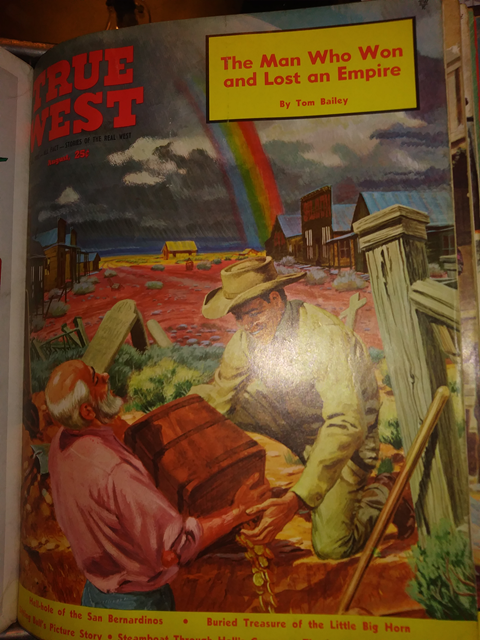 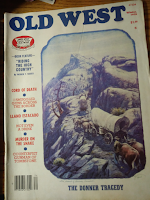 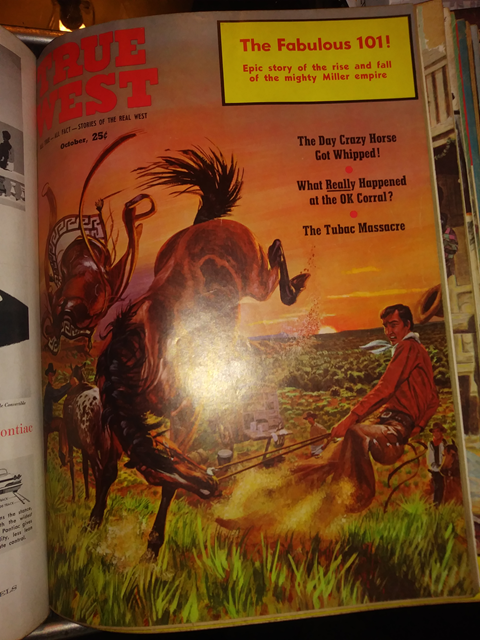 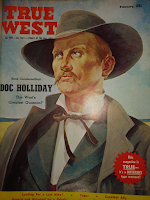 Every issue is packed with untold stories about the old west, stories that came directly from those who lived it as well as those to whom these stories were told. 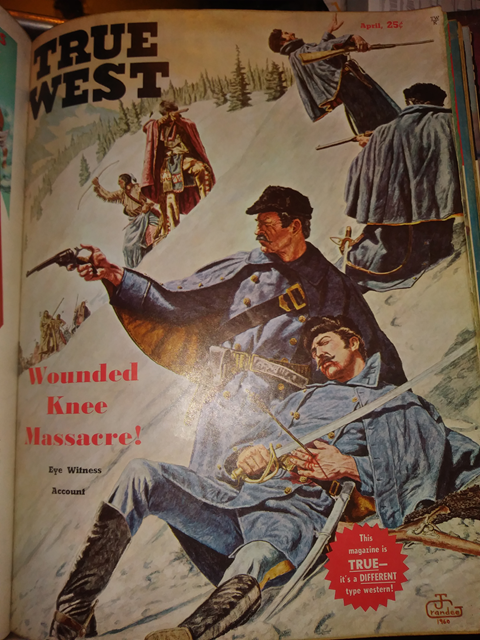 All 12 issues (three years worth) of magazines contained in this collection represent the foundation upon which this nation was formed. 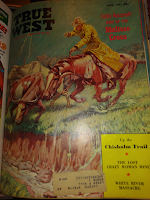 The authors bring to life within their tails of the old west the heart of what makes America great. 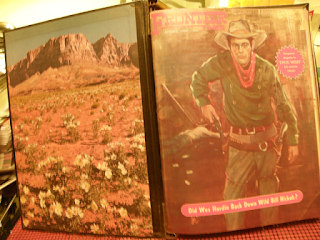 There are 12 issues included in this binder, which is included at no additional cost. The appraised prices are included below for each edition and we're applying a 25% discount. 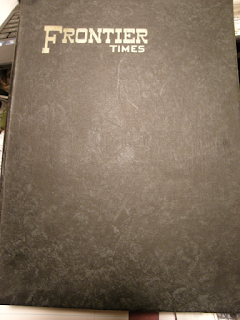 Included in this binder are the January 1958 issue through the Spring 1961 issue. 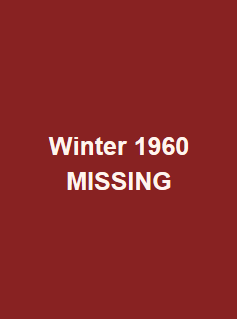 Please note that the Winter 1960 issue is missing, so to make up the difference we've added the Spring 1961 issue). 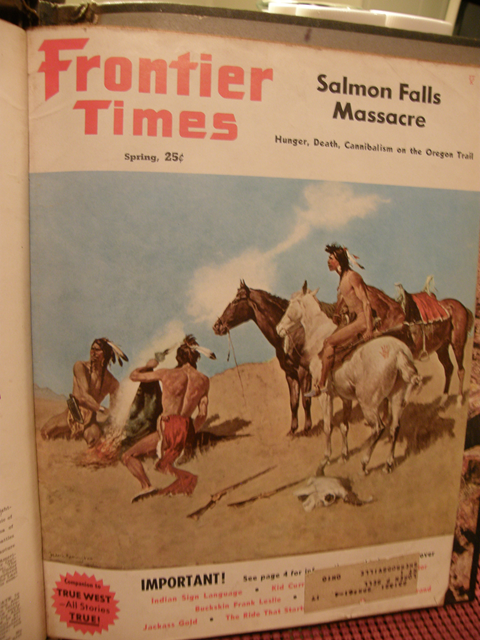 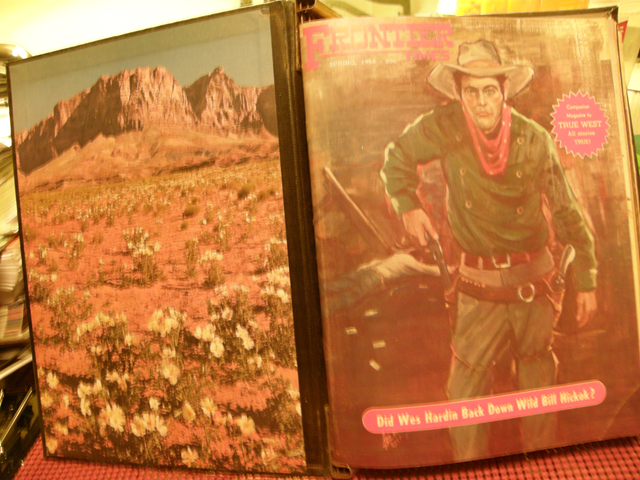 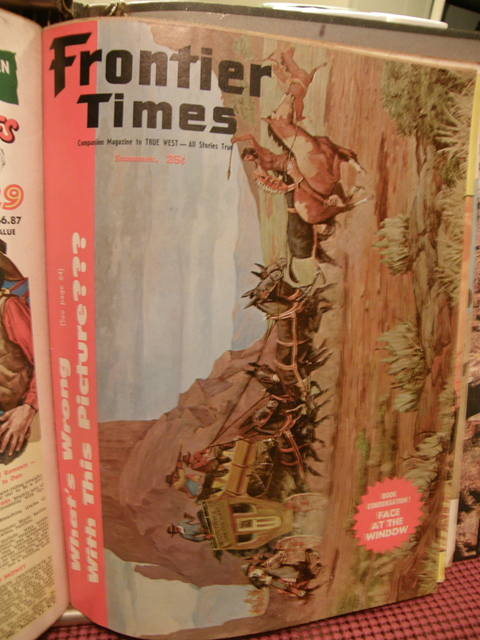 Place "Frontier Times (1958, 1959, & 1960) Binder Collection" in the subject line. 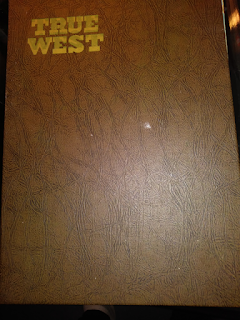 You will receive an estimate that will include the $132.75 plus shipping charges. 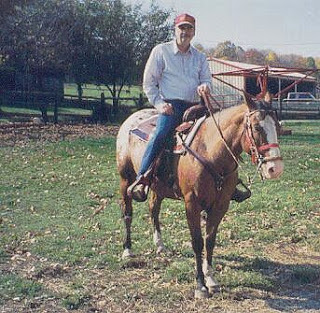 If you approve the purchase, you will receive a PayPal invoice via email. PayPal will accept almost any credit or debit card you may have.